What comes to mind when you think about relationships? Is it just something you think of when you are lonely, or when Holidays come around? Is being with another person about connection or is it about feeling good about yourself? What does to connect mean? For me, love relationships have been confusing, hurtful and often fleeting. I have felt a version of love but never a deep feeling of connection and oneness with another. In the past, I had one foot out the door, and one foot in, depending on where I wanted to go in life. 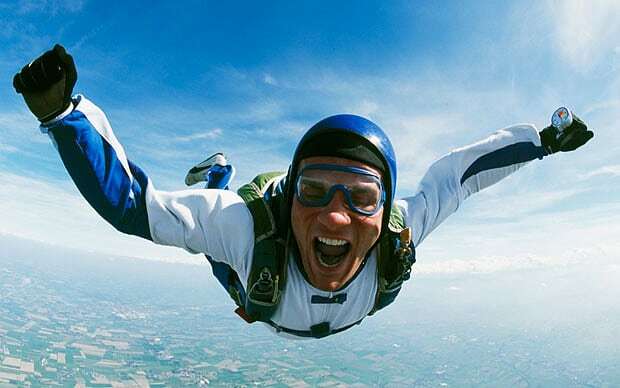 If you are jumping in Tandem out of plane, you cannot go anywhere if you have one foot in and one foot out! You're basically stuck in the same spot. But now that I am changing and starting to believe and trust in relationships being joyful, uplifting and rewarding, I see how it takes a leap of faith to start on the journey together. 1. Relationships involve Trust: When you are about to jump out of a plane, from 10,000 feet in the sky, your skydiving instructor gives you instructions on how to free fall when you jump together... notice I said together and not on your own. Your connected by a harness and a way that they strap you to the instructor, you are no longer two people, in a sense you have now become ONE, and it is important that you work together to make the experience fun, enjoyable and not to mention safe. Safety in relationships is more about being able to trust your partner, but you can't have trust unless you listen to your heart, and speak your mind, talking, sharing, communicating is SUPER important in building a strong foundation for your relationships and it's important even when you are tandem skydiving! So first and foremost, your skydive partner will always make you feel you can trust him, because he is open and honest about what needs to be done when jumping. He wants you to have a good time and a great experience. He has put your needs first, this is a great sign you are on the right track! 2. Relationships, as in tandem skydiving, involves Faith: All of life and trying new things involves an act of faith. I wouldn't say it any other way because I am a spiritual person and I know that for me, I wouldn't be where I am if I didn't have my faith in God, in a higher power, and in something greater than myself. I have been through enough scrapes, and near misses in life, to living out of my car and not knowing where the next day would take me, to know that my faith is a HUGE part of how I move through life. It takes faith when it comes to dating. Now faith is not about being blind or deaf to the warning signs of a partner that is abusive or hurtful. That's just stupidity and irrationality. But you can put your faith in your partner once he/she starts to show they are worthy of your trust. When dating and in a relationship, this involves getting to know the person through being around them in public, more than once a week, traveling together, and lots of communication! Now, when you are tandem skydiving you are actually trusting and listening to your partner right away! You don't get the luxury of taking your time in getting to know them, their job is to right away make you feel safe because you are about to jump out of the sky. But the key here is you've got to listen to his instructions, or else you won't do well on this adventure. This is the same thing as listening to your partners needs, desires, wants in regards to being a good friend. It's not about selfish needs, selfish desires, selfish wants. To have a relationships built on love, trust and faith in one another, you need to listen to your partner not judge, criticize or condemn. When you are flying through the air and the parachute is pulled again, you have to adjust to your new surroundings, you're no longer free-falling, so now you are floating and if he wants he can let you be in charge of the reigns as you float down. In jumping out of an airplane, I learned that skydiving is a great example of how important it is to create trust and faith in your relationship so you can work together in life, when flying through the sky.